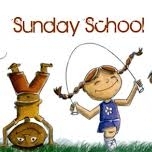 Each Sunday Morning during our 10:00am worship service, we offer children’s Sunday School. This is for children aged 4 – 11 years old. The children begin the service the main chapel area and are dismissed to go to the Sunday School room after the singing is done. Children’s Sunday School is taught by compassionate teachers whose goals are to teach your children about the Bible and about God’s Love for them in a fun and interesting way so that your children will look forward to coming back week after week! During Children’s Sunday School, the children play games, sing, do crafts, learn and have snacks. It is an interactive & fun way to learn just how much God loves each and every one of them!